We announced the Platform Summit at the beginning of the summer, and the time to start the 10-day countdown has arrived! We have been working hard these past few months to publish great content explaining the theme behind the summit.To help with this, we have assembled an amazing lineup, and all the details are in order. This is certainly going to be our largest event yet! If you haven’t booked a seat, be sure to do so now! Visiting Nordic APIs in 2013 was a crucial turning point for Evercam. I arrived with a rough understanding of what an API is and a curiosity to learn more. I left with an API centric business model, a much better understanding of the API ecosystem and some contacts that have been critical to the success of our business so far. One year on, we’re looking forward to Nordic APIs 2014. The theme of this event is about one of the hottest topics within the API space at the moment — API platforms. Here’s where you can read more about the changes necessary to transform into one, and 5 acquisitions that prove how valuable the platform play can be. Those posts will really help get you acquainted with the topic. Come to the event to dig deep – really, you don’t want to miss this! If you’re excited about getting your hands dirty, you will be delighted to know we’re kicking off the event with a some workshops. In one, you will learn how to test APIs using SOAPUI and SmartBear’s new Ready! API testing platform. It’s intended for API practitioners at every level. Attend to learn how to use and extend these tools which will help you ensure that your APIs are of the highest quality. Find out more about this workshop on our site. Also, renowned API experts Kin Lane and Andreas Krohn will team up in another of our workshops to teach you all the fundamentals of APIs. These two teachers will give you a chance to get more acquainted with APIs. They will cover everything from what an API is to what they can be used for. Find out more , and attend this workshop to ensure that you get the most out of the next two days of the conference. After the workshops, we’ll meet at SmartBear’s Stockholm office for a couple hours of mingling and refreshments. It will be a great chance to socialize with your peers, the presenters, and the Nordic APIs team. Attendance is free and open to all. Directions, details, and free tickets are available on our site. On October 20-22, we will gather 49 API experts in Stockholm to explain to you every aspect of APIs. With workshops, keynotes, breakout sessions, demos, and much, much more, you can be sure to walk away feeling you got your money’s worth. 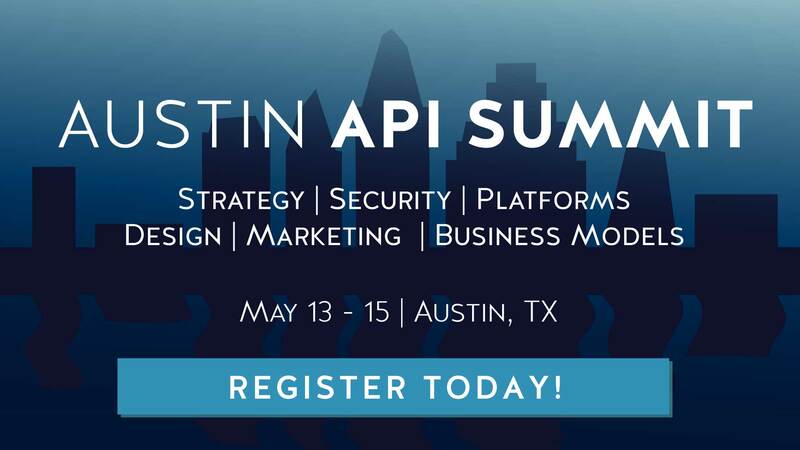 This is the perfect chance to accelerate your API education. If you haven’t secured your ticket yet, be sure to do so soon, as there are only a limited number of seats! Look forward to seeing you there.